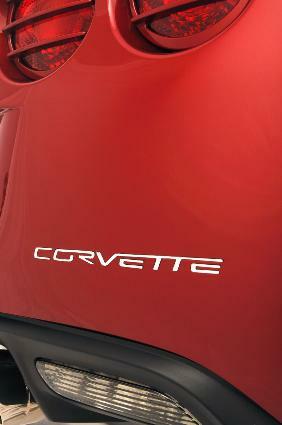 Stand out when you're on the road with our Corvette Rear Stainless-Steel Letters. Our kit consists of high-polished, laser-cut "Corvette" letters in the famous Corvette script font for your C6 that give off a customized, mirror-like appearance to the back of your C6. Let your Corvette outshine all others on the road with this sharp, clean look that is simple. Installation is fast and easy. 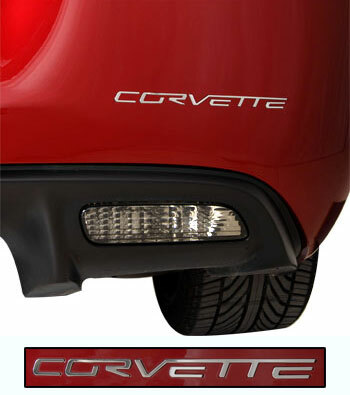 To apply, simply peel the 3M tape backing from each letter and apply to your Corvette. The shine from our letters dress up and add an eye-catching feature for a well-rounded restoration or project. Q: Does this fit a 2012 Grand Sport? Q: Do these letters fit in the recessed lettering that currently exists on the rear bumper of a 2008 Z06? Q: Can I get this in RED?